UK: Statistics on police helicopter laser attacks; one has been struck 100 times "over the last year"
Assuming “over the past year” means “in the last 12 months”, that would be an average of about two laser illuminations per week. Reasons for the apparent discrepancy in numbers are not clear. 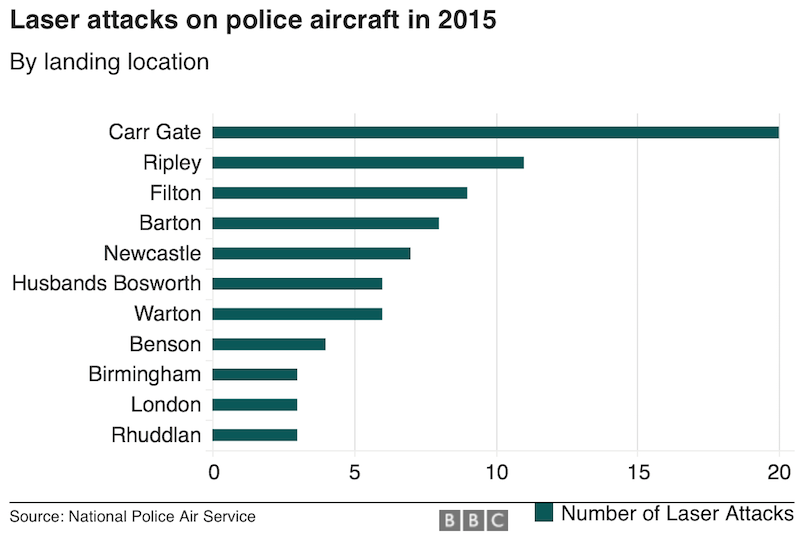 It may be that South Yorkshire is not a member of the NPAS, which provides centralized air support to local police forces. The NPAS is testing laser protective eyewear, as a means to help protect flight crews.